Precision engineered from the ground up to deliver Power and Performance. The fourth generation of Revo® SX delivers the most powerful, durable and high performance SX yet. The improved DuraClutch™ design along with an upgraded Infini™ brake system result in smooth engagement along with effortless casting performance. The D2 Gear Design™ paired with a brass main gear delivers the ultimate in durability and efficiency resulting in less effort and more power. 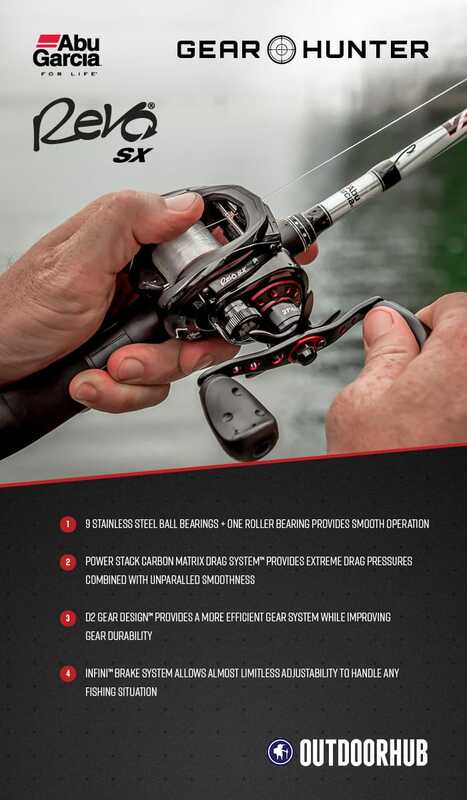 The Revo SX Low Profile Baitcaster is topped off with the keyed Power Stack Carbon Matrix Drag System™.